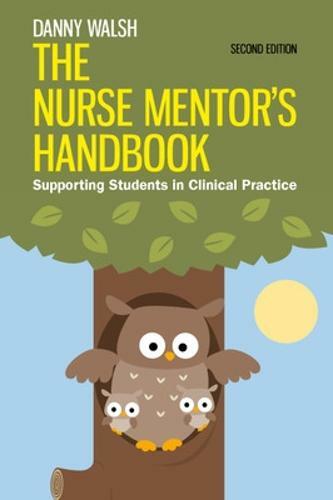 This popular book is the ideal companion text for all new and trainee nurse mentors, providing unique strategies and ideas to help devise and enhance learning opportunities for their students. How can I create a good learning environment? What should I include in my mentor's portfolio? How can I best support failing students?The book includes plentiful case studies, tools and interventions that you can use in clinical practice, and is full of real insights from students and mentors. Fully updated in this second edition the book includes new and additional coverage on e-portfolios, undertaking student evaluations, conducting the final interview, using evidence as a mentor, the best way to teach skills in practice and how to demonstrate leadership skills as a mentor. "This book is essential reading for newly qualified nurses intending to develop their professional skills by becoming mentors. Well written in accessible language the book progresses logically and comprehensively. It begins by setting the context of mentorship within contemporary legislative and professional frameworks. The chapters then develop to include the various contexts of learning, essential core theories of learning, and insider tips on teaching in the clinical environment.Of course, the mentor also has to assess students as competent for practice and Danny goes on to address this with good application to the professional context. He illustrates strategies to obtain both a successful and a fair assessment; and identifies an important part of assessment that often is overlooked. That is how the formative aspects of assessment complement the students' learning experience thus closing the learning loop.The final section of this book focusses on continuing good practice once qualified as a mentor and examines strategies to develop and update skills within a continually evolving professional framework. This book therefore provides a comprehensive resource for both novice and experienced mentors." "This excellent handbook, is a `must have' resource for all healthcare professionals who are either embarking on a mentorship role or who are established in their roles. It is a well written handbook that comprehensively explores all aspects of mentorship." iExcellent book. just undertaken mentorship course, by far the best resource and up to date (2010), every thing you need to know and assist you with your assignment.